Fast Track Rowing Camps function to expedite Learn to Row and prerequisites. This program provides a comprehensive introduction to the sport of rowing. Campers will become comfortable with both on-land and on-water aspects of rowing training, and be prepared to transition to the Junior Development Rowing League if interested in continuing. 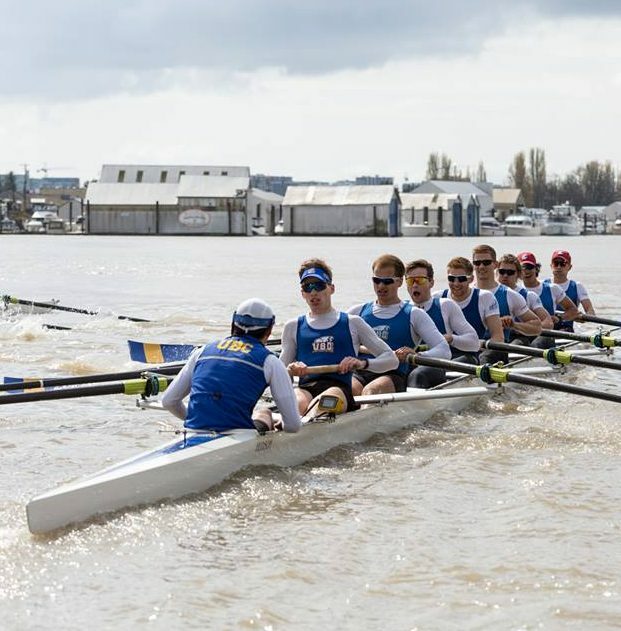 Rowing is a great way to make use of almost every muscle group in the body, while simultaneously being challenged to improve team work and communication skills. There is no pre-requisite to this program. Fee includes yearly Rowing Canada Aviron and Rowing BC memberships. Intro to Competitive Swimming is an entry-level competitive swimming program designed for swimmers proficient in their strokes (freestyle, backstroke, breaststroke). Campers should have completed Swim Kids 8 or higher. Participants will learn key scuba diving techniques and have the opportunity to test their newly acquired skills through free underwater swim time in the new UBC Aquatic Centre.